games.on.net is the gaming portal for all iiNet Group customers. Visit games.on.net for all the latest news and reviews on everything gaming! Halloween is only a few spooky weeks away, and in keeping with the theme of blood-curdling terror we’ve put together a list of some of the best games that the horror genre has to offer. An often unappreciated genre that tends to prove popular only with its most hard-core fans, we believe a good horror game is a thing to be treasured by all gamers. To save you having to hunt around for something to scare yourself with this Hallows Eve, we’ve wrapped up a few of the best games guaranteed to give you the jitters. Let’s get stuck in! 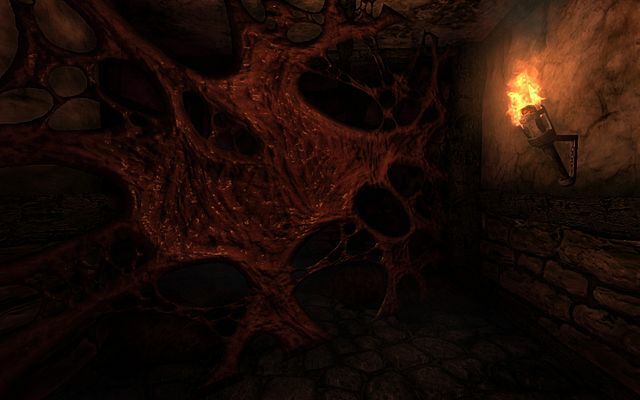 Widely considered to be one of the best horror games in recent years, Amnesia: The Dark Descent is so scary that it almost single-handedly inspired the YouTube genre of “Watching people play a scary game to see them squeal”. You play Daniel, who awakens inside an abandoned castle with no memory of how he got there. He must stumble through a nightmare-filled labyrinth to discover the secret of this awful place. When playing Amnesia: The Dark Descent, it’s important to keep an eye on monsters and hazards, but also on your own state of mind. Daniel’s sanity goes down if he spends too long in the darkness, or if he stares too long at monsters. He needs to make it back to a light source to restore it, however, standing in pools of light makes it easier for monsters to spot him. And when you only have a handful of matches left to your name, making a decision about whether or not to light a torch can be agonising. Daniel’s only clue in the castle is a note that he appears to have written to himself. Whatever terrible secret he knows was so awful that he deliberately erased his own memory, and each step further down into the darkness uncovers more and more pieces of his own mind, making The Dark Descent as much of a psychological thriller as an exercise in screaming terror. Amnesia: The Dark Descent is available on PC, Mac and Linux through Steam. Part horror game and part survival simulator, The Forest casts you as the sole survivor of a plane crash, stranded on a tropical island where cannibal mutants rule the endless, dark forest. It’s an extraordinarily atmospheric title with almost no scripted events. Everything is generated on the fly and reacts to your choices as a player, meaning that the weather, animals and of course horrible mutants will be different each time you play. In The Forest you have to look after yourself. You’ll need to chop down trees to build a shelter, harvest supplies, and keep a fire blazing so you can stay warm. But that sort of thing can attract unwanted attention and, whether that’s just from wild animals or mutants, you’ll need to be prepared to defend yourself. Will you stoop to cannibalism yourself, eating the bodies of your attackers just to stay alive? These are the questions you need to ask yourself, but beware: the mutants in The Forest are programmed with family ties to each other, so they won’t take kindly to you chowing down on their chums. The Forest is still in Early Access, which means it’s not quite finished yet, but if that doesn’t scare you, jump in for a great and tense experience. It’s compatible with the Oculus Rift as well, so look forward to immersing yourself in the terror! The Forest is available on PC through Steam. Remember the tense moments of the original Alien where some unstoppable nightmare creature hunts Ripley through the bowels of a spaceship? 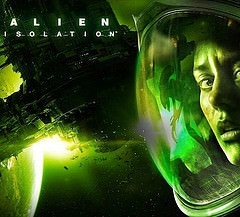 While Alien movies (and indeed, games) have moved more and more towards the action than horror genre since then, Isolation went in the other direction. You play as Ripley’s daughter, Amanda, who finds herself aboard the remote space station Sevastopol in an effort to discover that happened to her mother all those years ago on the Nostromo. Needless to say, things go horribly wrong, and before you know it you’re hiding in vents and lockers or running screaming and crying as a biomechanical monster relentlessly chases you down. What makes Isolation so terrifying is that the Alien on the ship is a fully-fleshed out Artificial Intelligence (AI) creature that not only follows you based on your movements and patterns but also plans ahead to try and cut you off. It can think about situations and look for hiding places, recognise when it’s being distracted and double-back on itself to trick you out, and wait patiently until you’ve let your guard down before pouncing. It’s unstoppable and unkillable, and all you can do is hope to stay alive. It’s been hailed as one of the best achievements in game AI to date by almost everyone who has played it. If sci-fi horror is your jam, make sure you check this one out. Alien: Isolation is available on PC, Xbox 360, Xbox One, PlayStation 3 and PlayStation 4. No list of horror games would be complete without a visit to an abandoned asylum, and Outlast is going to take us to the Mount Massive Aslyum, where investigative journalist Miles Upshur has received a tip-off that some extremely shady business is going down. It turns out the tip-off was right, because Mount Massive is filled with all kinds of horrible abominations and scientific experiments gone wrong, and now Miles has to escape from this nightmare while trying to avoid doctors who want to skin him and wear him like a coat. Nasty! 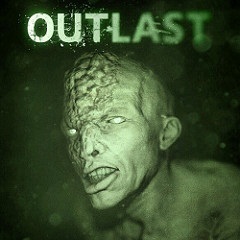 Outlast comes from a team of industry veterans who formed their own company exclusively to work on horror games, and the reaction from the public has been strong. Featuring a lot of stealth-based gameplay against overpowering enemies as well as dynamic AI that often outflanks you, Outlast requires you to act the part of a journalist, recording and documenting the awful things you see. Your camera also affords you a limited night vision mode as night falls, which gives you just enough light to frantically stumble to the next checkpoint. Viewers should be warned that Outlast can be quite confronting — if you’re going to pick it up, there is a lot of gore and intense violence, as well as some sexual content. Not for the young ones or the faint of heart! Outlast is available on PC, PlayStation 4 and Xbox One. A special mention must be made at the end for P.T. It stands for “Playable Teaser” and was created by renowned game designer Hideo Kojima in conjunction with director Guillermo del Toro as a teaser of their upcoming joint project, Silent Hills. To the great sadness of gamers everywhere, publisher Konami pulled the pin on the project and then pulled P.T. from their online store, meaning that the only way you can now play P.T. is if you know a friend who already has it downloaded on their PlayStation 4 console. And what a shame it is. P.T. is one of the best horror experiences in years, with a masterful touch that makes it both breathtakingly simple and fiendishly clever at the same time. You wander the halls of a seemingly deserted house, looping through a single hallway over and over again, but with subtle differences each time. An item out of place. A stain on the wall. A phone ringing. A breathing just behind you — no, don’t turn around. DO NOT turn around. P.T. gives an almost completely different experience each time it’s played through, to the point where a dedicated community of players are still finding easter eggs, even in this game which is literally just one creepy hallway. It really is something special, and is best played with headphones on, cranked up loud, in a room with no lights on. Find someone who has it (it’s on PlayStation 4 only) and get them to show it to you. It’s short and it’s sweet but you won’t regret it. Ever been truly spooked by a game? Let us know in the comments below. Tim is the world's first, last, and only classically trained combat raconteur. He was raised at an early age by bears, then later by humans, and then later again by humans dressed in unconvincing homemade bear suits. It is this unique combination of completely untrue things which has made him into the man he is today: dehydrated, frequently confused, and editor-in-chief of games.on.net. I am PERSONALLY UPSET at the tragic treatment of P.T., and I was just sat on the sofa while my friend (who owns a PS4) played it. It was an exquisite construction in its own right. Here’s hoping they’ll see reason and bring it back one day. The scariest game I ever played was multi-player Aliens vs Predator, playing as humans, late at night, with all the lights off, the speakers up loud. When you hear the proximity sensor start beeping, the heart rate goes through the roof.